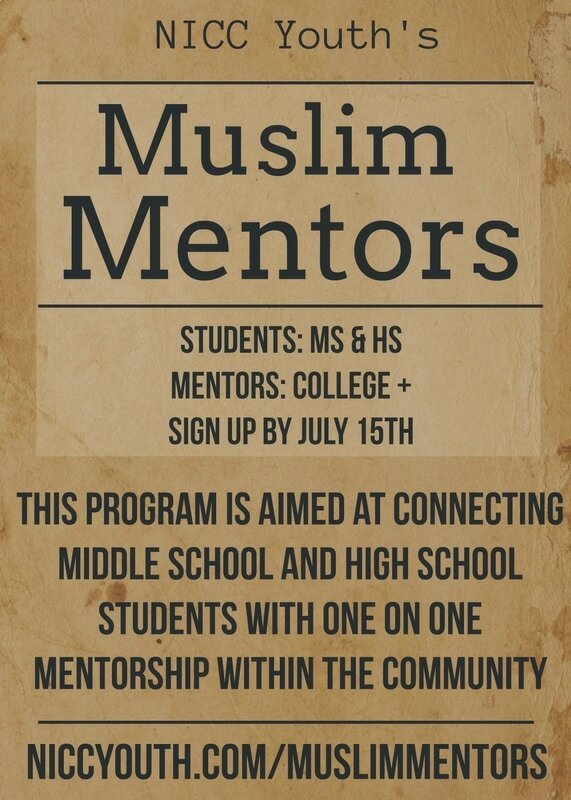 Muslim Mentors is a program designed to provide productive alternatives to our youth and to foster their personal development through mentorship. The objective of our mentors is to work individually with our youth to enhance them in areas such as: worship, community service, religious studies, social development, life skills, health and fitness, and more. Mentors and Mentees will be expected to meet once a month at NICC to gather feedback/review and have a joint halaqa. Also once a month, mentors will take their mentees out for a few hours of entertainment to develop the mentor/mentee relationship. All male mentors will be partnered with male mentees and female mentors with female mentees based on the questionnaire during registration (located below). The initial sign up period will be active until July 15th, so please sign up before then! After you've registered, we'll be providing more information. If you would like to sign up as a mentor, please click HERE. If you would like to sign up as a mentee, please click HERE.